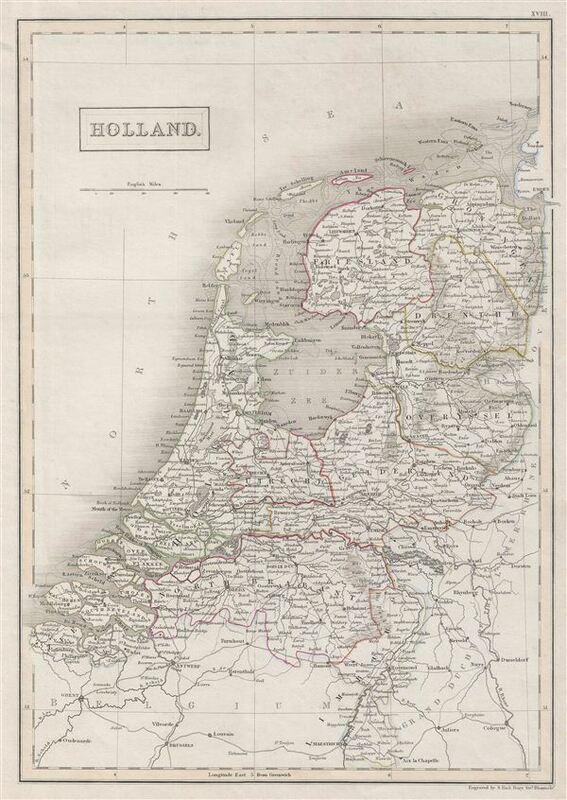 A fine example of Adam and Charles Black's 1840 map of Holland. The map covers the Kingdom of Netherlands, commonly referred to as Holland, from the North Sea to Belgium and the Grand Duchy of the Lower Rhine. In 1830, the Belgian Revolution led to the secession of Belgium from the United Kingdom of Netherlands into the independent Kingdom of Belgium. This map was engraved by S. Hall for issue in the 1840 edition of Black's General Atlas. Rumsey 2305.025 (1854 edition). Philips (atlases) 4334.